*Corresponding author: Aly Fahmy Mohamed, The Holding Company for production of vaccines a, sera and drugs (VACSERA). The aim of the present work is to produce local H2O2 inactivated vaccine and monitor its quality to the currently available in the Egyptian market. Data revealed that H2O2 could inactivate rabies virus within 3 hrs. 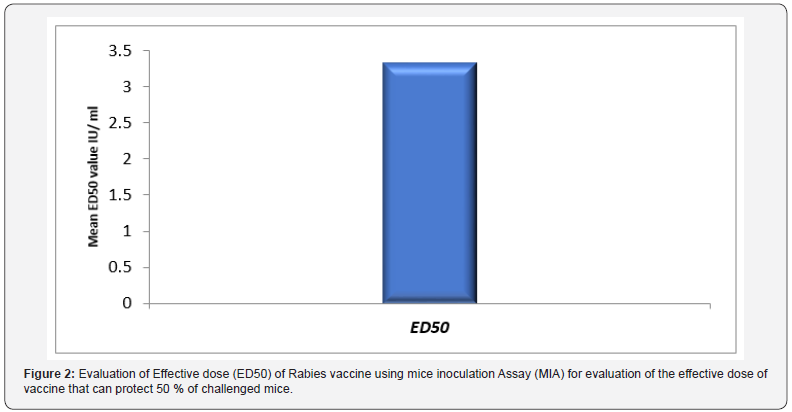 Produced vaccine potency was evaluated using mice inoculation assay indicating that the ED50 of test vaccine was >2.5 IU according to the WHO regulation. Immune response was monitored on both cellular and humoral level revealing that anti rabies IgG was increasing relative to time and the same to IFN-γ and IL-5 IFN of local vaccine was significantly elevated than that in case of H2O2 prepared one. According to the World Health Organization (WHO) estimates, the number of human rabies deaths in Asia is more than 31,000 per year, of which more than 20,000 occur in India alone. India thus accounts for 36 % of the global human rabies death burden. Rabies is endemic in India except in Andaman and Nicobar and Lakshadweep islands, which are historically known to be rabies-free. The extent of rabies burden among animals in the country is not exactly known, but the incidence of the disease is quite high, and the disease is frequently encountered in different parts of the country. The description of the outbreaks of rabies in animals during the years 1996 to 2004 reported to the World Organization for Animal Health (OIE). India reported 586 outbreaks among different species of animals leading to death of 2,463 animals during this period. During the period 2005 to 2011, 398 outbreaks of rabies in animals were reported. Many areas of the country did not report any case during this long period of 7 years despite the endemic status of rabies there. The actual numbers, therefore, may be substantially higher, considering the possibility of underreporting due to weak rabies surveillance and inadequate reporting mechanism in the country . Rabies is a single strand RNA virus belonging to the Rhabdoviridae family. Rabies infection is an ancient disease with a high mortality rate in human and animal population. Based on the World Health Organization reports, annually between 30000 and 70000 deaths occurred throughout the world due to rabies infection . Rabies transmission from animal to animal or to human occurs by exposure to saliva mainly through animal bites. Other sources of viral infection may include exposure to scratches, immunization with incompletely inactivated vaccine, transplantation of virus-infected organs and virus inhalation. Rabies is a disease infecting mammal involving dogs, wolves, foxes, raccoons, cats and bats which serve as reservoirs or vectors . Rabies virus inactivation is a critical step in production of vaccines and diagnostic reagents. The recommended inactivating agent used in rabies vaccine production is beta-propiolactone (βL), but it is a very expensive chemical and proved to be potential carcinogen. In vitro studies on nucleic acids extracted from Escherichia coli showed that PL produces complexes between DNA and proteins . Many studies in different experimental animals showed that βL caused tumors at various tissue sites. 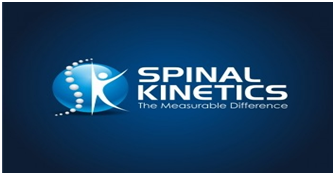 Thus, it is necessary to find replacement inactivating agents which are not expensive, safe and available. Hydrogen peroxide (H2O2) is a strong oxidizing agent. Many studies investigated its ability to preserve antigenic epitopes and other studies used it as inactivating agent for development of viral vaccines against both DNA and RNA viruses including Lymphocytic Choriomeningitis Virus (LCMV), Yellow Fever Virus (YFV), West Nile Virus (WNV), Vaccinia virus (VV) and Monkeypox Virus (MPV) [5,6]. Rabies virus strain FRV/K1 was supplied from Dr Aly Fahmy Mohamed; Ex-Head of R&D Sector VACSERA as the aliquot of infectivity titer of 7.5 log10/ 1ml. FRV/K2 virus samples were 10-fold diluted in Hanks Balanced Salt Solution HBSS (10-1 -10-8). Each dilution was injected intracraeneally as 0.01-0.03 ml/BALB/cJ mouse. (15/17 gm), purchased from Research Institute of Ophthalmology. Injected mice were observed for 15 days for detection of mortality and mobility. Infectivity titre was calculated according to (Reed and Muench,1938). Three groups of mice 10 each were vaccinated using 0.1 mL of H2O2 inactivated vaccine, the second group was vaccinated using BPL inactivated rabies vaccine purchased from VACSERA and third was negative control (not vaccinated). Immune response regarding cellular and humoral immune response was considered (total IgG, IFN-γ and IL-5 using ELISA (Bio-Science- USA). Rabies virus was inactivated using hydrogen peroxide as 0.1 M rabies treated samples were collected at 30 min interval. Infectivity titre of collected H2O2 inactivated samples was determined in weaning BALB/cJ mice; (15/17 gm). Inoculated mice were observed for 15 days and also mortality was recorded. The infectivity titre was calculated according to (Reed and Muench, 1938). Tissue culture flasks were microscopically examined for confluency. Cells were treated with trypsin EDTA solution 0.25% (AMRESCO-USA) according to manufacturer protocols. Trypsin was decanted post cell treatment cells were subjected to the trace of trypsin solution for 5 min. at 37 °C (Jouan-Franc). Cells were observed under inverted microscope (Hund-Germany) till cell dissociated. Growth medium was added to trypsinized cells. Cells were counted using trypan blue exclusion assay. Cells were dispensed in new tissue culture flasks according to the time of need. Exhausted growth media of culture flasks was decanted, and rabies virus was inoculated as 1 MOI (multiplicity of infection). Cells were incubated for 1-1/2 hr at 37 °C with 15 hr hour interval shaking for good virus distribution on the cell. Maintenance medium was added to infected flasks as 75–100ml. Non-infected cells were included. Cells were observed daily for detection of cellular changes. Maintenance medium was collected at 4-5day interval. Harvested medium was clarified using membrane filtration (Millipore-USA). Each harvest was titrated as previous in mice to manage the concentration-time by hollow fibre cartridge (AMICON-USA). Concentrated virus was titrated as previous. Potency of test vaccine was evaluated using National Institute of Health (NIH) protocol. Vaccine was fivefold diluted. Each dilution was inoculated as 0.5 ml/mouse (10/group). Second dose was administered on the 7th day of prime one on 14th day immunized mice were challenged using challenge virus standard (CVS) used as 12.5-50 LD50. Mortality was recorded started from, 5th to 15th days post-infection. Vaccine potency was calculated according to WHO protocol. The role of hydrogen peroxide (H2O2) as an inactivant was traced via evaluation of inactivation kinetics of rabies virus infectivity, as infectivity titer was decreased relative to time as H2O2 induced a fast inactivation potential recoding a depletion rate in the order of 0.03 log (10) /min (Figure 1). In the meantime, immunogenicity of the produced vaccine was compared with currently used vaccine purchased from the local market as immunogenicity was considered concerning total IgG, Interferon (IFN-γ) and Interleukin – type-5 (IL-5). Data reported revealed that antirabies total IgG was increased relative to time and there was an insignificant difference (P>0.05) between antirabies antibodies elicited post vaccination with H2O2 produced vaccine and purchased BPL inactivated one, the maximum antirabies detected on the 45th day post vaccination in both vaccines (P <0.05) , and post boosting there was a 2dry elevated IgG that showed an almost stationary phase of antibody recording an insignificant difference compared with those induced in case of application of purchased vaccine (P>0.05) and prepared one (Figure 2). Vaccine potency was recorded as > 3.5 IU / ml that was in alignment with the WHO regulation. In the same context, cellular immune response was considered and IFN-γ and IL-5, were monitored (Figure 3). Data recorded revealed that there was a significant difference in the IFN-γ level in case of vaccination using purchased vaccine than that induced post vaccination with H2O2 prepared vaccine during the 15th and 21th -day post vaccination (P<0.045), and its level was relative to time post vaccination (Figure 4). While there was a non-significant difference (P>0.05) in the IL-5 level I case of vaccination using both vaccine candidates (Figure 5). Rabies virus is an envelope one. It has a single-stranded and negative-sense RNA genome . Two major structural components of rhabdoviruses; helical Ribonucleoprotein Core (RNP) and surrounding envelop. RNP associates with two proteins which are P, and L proteins. The glycoprotein forms approximately 400 trimeric spikes, which are tightly arranged on the surface of the virus . The protein that plays an important role in replication and transcription in rabies virus is known as nucleoprotein (N. Both viral transcription and replication are reduced if the nucleoprotein is not phosphorylated . H2O2 is a potent oxidizer utilized by neutrophils and other mammalian cells to inactivate intracellular/phagocytosed pathogens [10,11] and has been shown in vitro to inactivate a broad range of microbes [12,13]. Oxidation by H2O2 is believed to inactivate microbes by several mechanisms, including disruption of lipid membrane bilayers, oxidation of protein backbones and amino acid side chains, and oxidation of nucleosides [14,15]. H2O2 has antimicrobial and antiseptic property. It can be used for sterilization of different surfaces and surgical tools due to its effectiveness against the wide range of viruses, bacteria and bacterial spores . βPL, another common inactivation cagent, degrades in solution to undetectable levels within 10-12 h, and in some cases is unable to fully inactivate virus spiked into vaccine lots at late points in the inactivation process . In-contrast, H2O2 retains its inactivation potential at later time points during the manufacturing process, providing a robust approach to virus inactivation and vaccine development, while maintaining antigenic epitopic pattern the same . H2O2 as inactivant could be used in preparation of inactivated WNV-KV retains Env-specific neutralizing epitopes and maintains longterm stability . On the contratry of our data, H2O2 doesn’t rapidly inactivate RNA viruses only but also can inactivate DNA viruses with minimal damage to antigenic structure or immunogenicity. H2O2 has a highly effective method when compared with conventional vaccine inactivation approaches such as formaldehyde or β-propiolactone. Mice immunized with H2O2 inactivated Lymphocytic Choriomeningitis Virus (LCMV) generated cytolytic, multifunctional virus-specific CD8+ T cells that conferred protection against chronic LCMV infection . The H2O2 inactivated West Nile virus- Kunjin strain vaccine is safe and immunogenic. Also, the H2O2 inactivated West Nile virus- Kunjin strain may be suitable for protection against WNV (WNVKUNV) infection in vulnerable populations . In accordance with our data concerning total IgG level, effective neutralizing antibody responses could be induced by H2O2 inactivated WNVNY in BALB/c mice . The protective capacity of a novel H2O2 WNV-KUNV vaccine against lethal WNV challenge was demonstrated. A significant WNV E-protein-specific and neutralizing antibody response that was enhanced by boosting was observed by the following vaccination with H2O2 WNV-KUNV in both young and old mice. H2O2-WNV-KUNV prepared vaccine generates a poly-functional antigen-specific CD8+ T cell Response . H2O2 WNVKUNV could stimulate induction of protective antibody and cellular mediator producers (CD8+ T cell response) due to the purity of the vaccine preparation . H2O2 WNV-KUNV also induced a robust polyfunctional CD8+ T cell response in the HLA-A2 human MHC class I transgenic mice, where in the immunodominant CD8+ T cell epitopes against WNV maps to the SVG9 peptide in the E protein . Aged mice developed strong WNV-specific humoral responses and were protected after immunization and boosting with H2O2 WNV-KUNV was a first step in demonstrating vaccine efficacy in a highly susceptible population . βPL, another common inactivation agent, degrades in solution to undetectable levels within 10–12 hours, and in some cases is unable to fully inactivate virus spiked into vaccine lots at late points in the inactivation process , by contrast, H2O2 retains its inactivation potential at later time points during the manufacturing process, providing a robust approach to virus inactivation and vaccine development while still maintaining antigenic epitopes. In a current case, an independent group compared γ-irradiation to H2O2 treatment for the development of a vaccine against Ebola . Interestingly, γ-irradiation resulted in a damaged vaccine that provided no protection against viremia and all of the vaccinated Neighborhood Health Plan (NHP) died or required euthanasia after lethal Ebola challenge. In contrast, a similar vaccine that was treated with H2O2 provided completed protection against viremia and the H2O2 Ebola immunized NHP survived a normally lethal dose of Ebola, suggesting that key antigenic epitopes were maintained following H2O2 exposure . Vaccine efficacy and its ability to protect against the disease were detected by using evaluation of the vaccine immunogenicity test. When H2O2 -inactivated virus suspension was compared against βPL-inactivated virus suspension for induction of antibodies in experimental mice, H2O2 -inactivated virus suspension was proved to be immunogenic and showed insignificant different response . Results of the NIH potency testing was in agreement with that requirement of the WHO, European Pharmacopoeia and U.S. Pharmacopoeia [26-28]. H2O2 -inactivated virus suspension showed accepted potency, comparable to that of βPL-inactivated virus suspension. Virus inactivation by H2O2, but not by UV or by short-duration and higher temperature formalin treatment, is able to maintain the antigenic structure of the Japanese Encephalitis Virus (JEV) E protein . In previous study, it confirms that the ability of H2O2 at a final concentration of 3% to achieve a complete and irreversible inactivation of fixed rabies virus when incubated for 2 h at 2-8oC, where the virus dropped below limit of detection. It was noted that the inactivation process using H2O2 was much less time-consuming than inactivation process using βPL which requires 24 hrs and that what was on the contrary of our results , that βPL could inactivate rabies virus within 2 hrs. Also, El-Karamany explained the delay of inactivation is attributed to the preservation of βPL at -80 as BPL must be kept at -20oC . One of the important characteristics of a strong inactivating agent to be used in production of vaccines is that it does not cause the destruction of antigenic epitopes. This is considered an essential advantage of H2O2 and it was proved by comparing H2O2 inactivated virus suspension with the same virus harvest inactivated using βPL and two commercially available vaccines using ELISA technique . Formaldehyde is used also as inactivation on poliovirus. The ability of PV to bind hPVR is reduced due the effect of inactivation with formaldehyde on early steps of viral replication . Treatment with formaldehyde had a slight effect on the immunogenicity in mice of the viral preparations tested. This effect could be due to the partial destruction of specific D-antigenic epitopes known to occur during the inactivation process . Regarding the use of different inactivants and relate vaccine immunogenicity. It was reported that the effect of three types of inactivating agent is compared against Infectious hematopoietic necrosis virus (IHNV). Also, it was explained the variable antigenicity and immunogenicity of RVFV vaccine was due to the deterioration of viral epitopes under the effect of Formalin, βPL and BEI as inactivate . The βPL group had highest level of IgM in both in serum and mucus samples after vaccination. However, the formaldehyde group had the lowest level of IgM, which was likely due to antigen modification caused by the inactivating agent . Formaldehyde is a poly-functional alkylating agent that modifies carboxyl, hydroxyl, and sulfhydryl groups of proteins, as well as adenine and guanine . Thus, it is possible that formaldehyde destroys the immunogenicity of viral antigens, while βPL and BEI primarily introduce nucleic acid adducts. Regarding the immune response, it was reported that all dogs vaccinated with ETHIORAB rabies vaccine showed a good immune response to rabies virus and have a rapidly developed a high titer of rabies virus neutralizing antibodies, demonstrating that the experimental vaccine was highly immunogenic . The antibody levels peaked at 30-60 days after vaccination with ETHIORAB and then progressively declined . Antibody titers rose rapidly as early as day 7 and all dogs had antibody titers above the WHO-recommended seroconversion threshold (≥ 0.5 IU/ml) [38-40]. Moreover, the absence of any ruffling, partial paralysis, paralysis and death after intracerebral inoculation in mice and vaccination in dogs with ETHIORAB rabies vaccine indicates that the vaccine is safe, free from extraneous agents, complete inactivation of the virus and efficiently acceptable for vaccinations against rabies in dogs. Moreover, using cell culture prepared vaccines are not only leading to short-term therapy but also causes an efficient immunity without contraindication or side effects. The efficiency of Rabisin vaccine is evaluated in field dogs in Tunisia and reported that at 1-month post-vaccination, the mean rabies virus neutralizing antibody titers of dogs vaccinated with the Rabisin vaccine was 4 IU/ml. This study is in line with the present study and supports the use of the ETHIORAB vaccine in replacement of the nerve-tissue vaccines . In agreement with our findings, similar studies reported that showed owned dogs, vaccinated subcutaneously with a cell-culture-derived vaccine, exhibited very rapidly decreased neutralizing antibody titers 60 days postvaccination . Contradictory to this finding a study previously reported, primary vaccinated with either a Semple type rabies vaccine or a cell culture-derived vaccine, developed a low level of neutralizing antibody and 1-month post-vaccination, mean rabies virus neutralizing antibody titers were 0.37 and 0.46 IU/ml, respectively. However, a booster injection after 1 year, showed that dogs immunized with cell-culture vaccine had a higher a virus neutralizing antibody titer than the animals vaccinated with the nerve-tissue vaccine (1.27 IU/ml versus 0.44 IU/ml) [44-50]. From the introduced data it can be concluded that H2O2 as inactivating agent showed an equivalent efficacy as inactivant like in case of use of βPL. Also, Prepared Rabies vaccine was immunogenic equally to the currently βPL distributed vaccine. Effect of prepared vaccine immunogenicity b and immune reactivity is time dependent Finally H2O2 prepared vaccine is equal potentially to BPL papered vaccine in addition to its safety measure. It is recommended to evaluate H2O2 prepared vaccine stability and side effect to monitor the free Oxygen effect on recipient animal model. Inactivation of rabies virus at different thermal conditions using H2O2 as a low cost and non-oncogenic inactivate. Krebs JW, Mandel EJ, Swerdlow DL, Rupprecht CE (2004) Rabies surveillance in the United States. Journal of the American Veterinary Medical Association 225(12): 1837-1849. Rupprecht CE (2012) Rabies vaccines. In: Plotkin SA, et al. (Eds. ), Vaccines. (6th edn), Elsevier health (Section 2, Chapter 29), USA. Nietert WC, Kellicutt LM, Kubinski H (1974) DNA–protein complexes produced by a carcinogen, beta-propiolactone. Cancer Res 34(4): 859- 864. Siber GR, Thakrar N, Yancey BA, Herzog L, Todd C, et al. (1991) Safety and immunogenicity of hydrogen peroxide-inactivated pertussis toxoid in 18-month-old children. Vaccine 9(10): 735-740. Amanna IJ, Raué HP, Slifka MK (2012) Development of a new hydrogen peroxide-based vaccine platform Nat Med 18(6): 974–979. Barelli S, Canellini G, Thadikkaran L, Crettaz D, Quadroni M, et al. (2008) Oxidation of proteins: basic principles and perspectives for blood proteomics. Proteomics Clin Appl 2(2): 142-157. Neighbor NK, Newberry LA, Bayyari GR, Skeeles JK, Beasley JN, et al. (1994) The effect of microaerosolized hydrogen peroxide on bacterial and viral poultry pathogens. Poult Sci 1994; 73(10): 1511-1516. De Queiroz GA, Day DF (2008) Disinfection of Bacillus subtilis sporecontaminated surface materials with a sodium hypochlorite and a hydrogen peroxide-based sanitizer. Lett Appl Microbiol 46(2): 176- 180. Ganavadiya R, Saxena V, Tomar P, Gupta R, Khandelwal G, et al. (2014) Disinfecting efficacy of three chemical disinfectants on contaminated diagnostic instruments: A randomized trial. J Basic Clin Pharm 5(4): 98-104. Monath TP, Lee CK, Julander JG, Brown A, Beasley DW, et al. (2010) Inactivated yellow fever 17D vaccine: development and nonclinical safety, immunogenicity and protective activity. Vaccine 28(22): 3827- 3840. Poore EA, Slifka DK, Raué H, Thomas A, Hammarlund E, et al. (2016) Pre-clinical development of a hydrogen peroxide-inactivated West Nile virus vaccine. Vaccine 35(2): 283-292. Amanna IJ, Raué H, Slifka MK (2012) Technical Reports Development of a new hydrogen peroxide – based vaccine platform 18(6): 974-979. Pinto AK, Richner JM, Poore EA, Patil PP, Amanna IJ, et al. (2013) A Hydrogen Peroxide-Inactivated Virus Vaccine Elicits Humoral and Cellular Immunity and Protects against Lethal West Nile Virus Infection in Aged Mice 87(4): 1926-1936. Amanna IJ, Raue HP, Slifka MK (2012) Development of a new hydrogen peroxide-based vaccine platform. Nat Med 18(6): 974 –979. Marzi A, Halfmann P, Hill Batorski L, Feldmann F, Shupert WL, et al. (2015) An Ebola whole-virus vaccine is protective in non-human primates. Science 348: 439-442. Poore EA, Slifka DK, Thomas A, Quintel BK, Torrey LL, et al. (2018) HHS Public Access 35(2): 283-292. Abd elghaffar AA, Ali AE, Boseila AA, Amin MA (2015) Inactivation of rabies virus by hydrogen peroxide. Vaccine 34(6): 798-802. (2007) WHO technical report series no. 941, fifty-sixth report; recommendations for inactivated rabies vaccine for human use produced in cell substrates and embryonated eggs. pp. 104-108. (2005) European Pharmacopoeia 5.0. Rabies vaccine for human use prepared in cell cultures pp. 216. Fan Y, Chiu H, Chen L, Chang GJ (2015) Formalin Inactivation of Japanese Encephalitis Virus Vaccine Alters the Antigenicity and Immunogenicity of a Neutralization Epitope in Envelope Protein Domain III, p. 1-25. Wilton T, Dunn G, Eastwood D, Minor PD (2014) Effect of Formaldehyde Inactivation on Poliovirus. 88(20): 11955-11964. Martı J, Crossland G, Wood DJ, Minor PD (2018) Characterization of formaldehyde-inactivated poliovirus preparations made from liveattenuated strains. J Gen Virol 84(Pt 7): 1781-1788. Tang L, Kang H, Duan K, Guo M, Lian G (2016) Effects of Three Types of Inactivation Agents on the Antibody Response and Immune Protection of Inactivated IHNV Vaccine in Rainbow Trout Viral Immunol 29(7): 430-435. Metz B, Kersten GF, Hoogerhout P, Brugghe HF, Timmermans HA, et al. (2006) Identification of formaldehyde-induced modifications in proteins: reactions with model peptides. J Biol Chem 279(8): 6235- 6243. Rweyemamu MM, Umehara O, Giorgi W, Medeiros R, Neto DL, et al. (1989) Effect of formaldehyde and binary ethyleneimine (BEI) on the integrity of foot and mouth disease virus capsid. Rev sci tech Off int Epiz 8(3): 747-764. Kim Y, Kweon C, Tark D, In S, Yang D, et al. (2011) Biologicals Development of inactivated trivalent vaccine for the teratogenic Aino, Akabane and Chuzan viruses. Biologicals 39(3): 152-157. El Karmany RM (1987) Production in Vero cells of an inactivated rabies vaccine from strain FRV/K for animal and human use. Acta Virol 31(4): 321-328. Dong C, Xiong X, Luo Y, Weng S (2013) Efficacy of a formalin-killed cell vaccine against infectious spleen and kidney necrosis virus (ISKNV) and immunoproteomic analysis of its major immunogenic proteins. Veterinary Microbiology 162(2-4): 419-428. Kallel H, Diouani MF, Loukil H, Trabelsi K, Snoussi MA, et al. (2006) Immunogenicity and efficacy of an in-house developed cell-culture derived veterinarian rabies vaccine. Vaccine 24(22): 4856-4862. Blackburn NK, Besselaar TG (1991) A study of the effect of chemical inactivants on the epitopes of Rift Valley Fever virus glycoproteins using monoclonal antibodies. J Virol Methods 33(3): 367-374. Sage G, Khawplod P, Wilde H, Lobaugh C, Hemachudha T, et al. (1993) Immune response to rabies vaccine in Alaskan dogs: failure to achieve a consistently protective antibody response. Trans R Soc Trop Med Hyg 87(5): 593-595. Wang Y, Xiang Z, Pasquini S, Ertl HC (1998) Effect of passive immunization or maternally transferred immunity on the antibody response to a genetic vaccine to rabies virus. J Virol 72(3): 1790-1796. Bahloul C, Ahmed SB, B chir BI, Kharmachi H, Hayouni el A, et al. (2003) Post-exposure therapy in mice against experimental rabies: a single injection of DNA vaccine is as effective as five injections of cell culture-derived vaccine. Vaccine 22(2): 177-184. Tepsumethanon W, Polsuwan C, Lumlertdaecha B, Khawplod P, Hemachudha T, et al. (1991) Immune response to rabies vaccine in Thai dogs: a preliminary report. Vaccine 9(9): 627-630.
WHO (2002) Rabies vaccines: WHO position paper. Wkly Epidemiol Rec 77: 109-120. Cameron CM, Barnard BJ, Erasmus E, Botha WJ (1987) Antibody response in cattle to oil emulsion rabies and ephemeral fever vaccines. Onderstepoort J Vet Res 54(2): 157-158. Dietzschold B, Faber M, Schnell MJ (2003) New approaches to the prevention and eradication of rabies. Expert Rev Vaccines 2(3): 399- 406. Hanlon CA, Kuzmin IV, Blanton JD, Weldon WC, Manangan JS, et al. (2005) Efficacy of rabies biologics against new lyssaviruses from Eurasia. Virus Res 111(1): 44-54. Rupprecht CE, Hanlon CA, Blanton J, Manangan J, Morrill P, et al. (2005) Oral vaccination of dogs with recombinant rabies virus vaccines. Virus Res 111(1): 101-105.
Who (2007) Recommendations for inactivated rabies vaccine for human use produced in cell substrates and embryonated eggs. Technical Report Series. Yusibov V, Modelska A, Steplewski K, Agadjanyan M, Weiner D, et al. (1997) Antigens produced in plants by infection with chimeric plant viruses immunize against rabies virus and HIV-1. Proc Natl Acad Sci U S A 94(11): 5784-5788. Muniswamappa M, Madhusudana SN, Sanyal SS, Taj S, Belludi AY et al. (2015) Cellular immune response following pre-exposure and postexposure rabies vaccination by intradermal and intramuscular routes. Clinical Experimental Vaccine 4(1): 68-74. Wang S, Tsai M, Lei H, Wang J, Wang S, et al. (2012) The regulatory T cells in anti-influenza antibody response post influenza vaccination 8(9): 1243-1249. Freches D, Romano M, Korf H, Renauld J, Snick J, et al. (2011) Increased Pulmonary Tumor Necrosis Factor Alpha , Interleukin-6 (IL-6), and IL-17A Responses Compensate for Decreased Gamma Interferon Production in Anti-IL-12 Autovaccine-Treated, Mycobacterium bovis BCG-Vaccinated Mice. Clin Vaccine Immunol 18(1): 95-104.
] Bancroft AJ, Else KJ, Devaney E (1993) Cytokine production in BALB/c mice immunized with radiation attenuated third stage larvae of the filarial nematode, Brugiapahangi. J Immunol 150(4): 1395-1402. Johnson EH, Schynder Candrian S, Rajan TV, Nelson FK, Lustigman S, Abraham D (1998) Immune responses to third stage larvae of Onchocerca volvulus in interferon-γ and interleukin-4 knockout mice. Parasite Immunol 20(7): 319-324. Lange AM, Yutanawiboonchai W, Scott P, Abraham D (1994) IL-4- and IL-5-dependent protective immunity to Onchocerca volvulus infective larvae in BALB/cBYJ mice. J Immunol 153(1): 205–211.